Translatewiki.net has generously volunteered their platform to make it easy for people to translate the iNaturalist website. 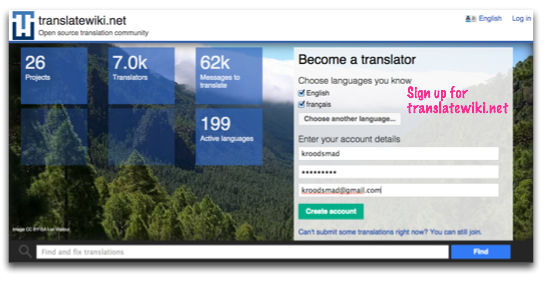 If you're interested in helping, here's how to get started with Translatewiki.net. First, you'll need an account. 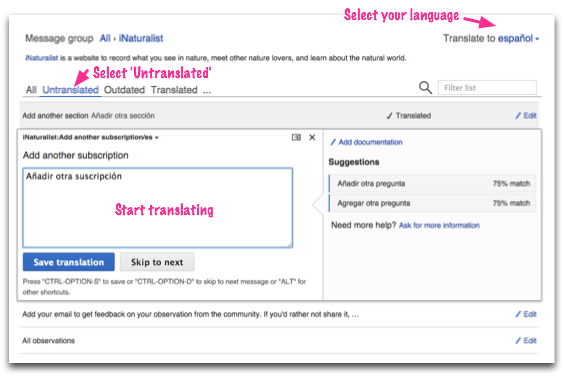 To get your account approved so that you can become a full translator and start working on the iNaturalist project, you'll need to provide 5 initial translations or so in your chosen language drawn randomly from the different projects on Translatewiki.net. Once you've provided some initial translations (no more than 20), wait for the email indicating that your account to be approved. 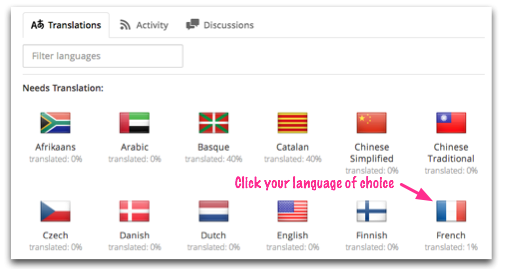 Make sure you've got your language of choice selected, filter by untranslated strings, and start entering and saving your translations. You can keep track of progress here. 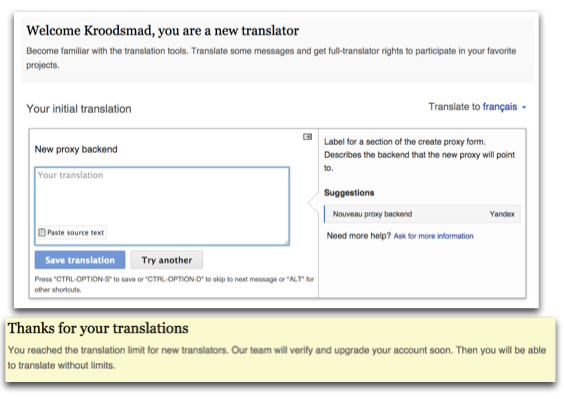 As a Translatewiki.net translator, you'll also be able to contribute translations to their other great open source project partners. We hope you'll get involved in this awesome volunteer community. There is a folder for each the iOS and Android app. You can see the percentage that each file in these folders has been translated. Click on the file you want to contribute to. 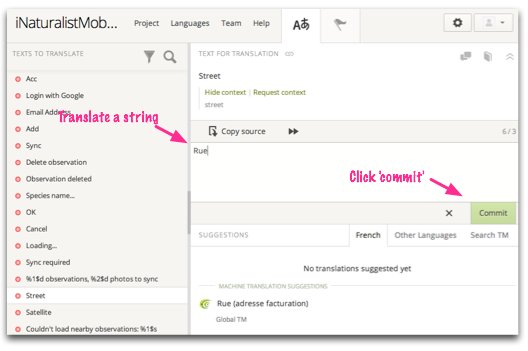 After translating a string, click confirm to save it. Once the files have been fully translated into a language, Crowdin.com makes them available for verification. You'll need to first contact us at help@inaturalist.org in order for us to grant you reviewer privileges. Just put 'please make me a crowdin reviewer' in the title. Then you can help verify translations by clicking on your preferred language in the voting section. Click on the file you want to review.